Have I Written This Before? Home Independent Publishing Have I Written This Before? 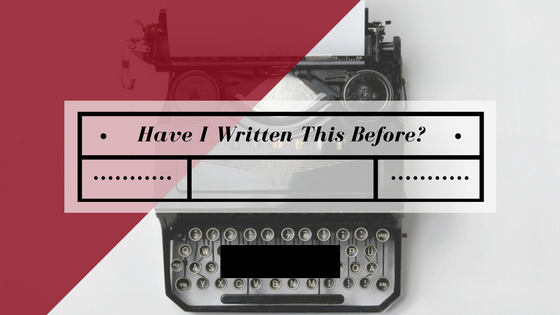 Regularly, I wonder if I have previously written a post on the same topic as I am currently writing. When this happens I need to consider whether my thoughts and perspective on the subject have changed from the previous time that I posted (or at least thought I may have posted!). Experiences allow for a better focus on the understanding of most subjects. The more time and energy you put in, the better your understanding of the processes and outcomes. Can you remember something that historically, you found hard to do, however now it is simple? Now that you find it simple, what would you have told your younger self to make the journey easier? Was the struggle of the journey necessary to make the process easier so you would in fact not try to change the way things happened?